High yielding barley variety for Tasmania. 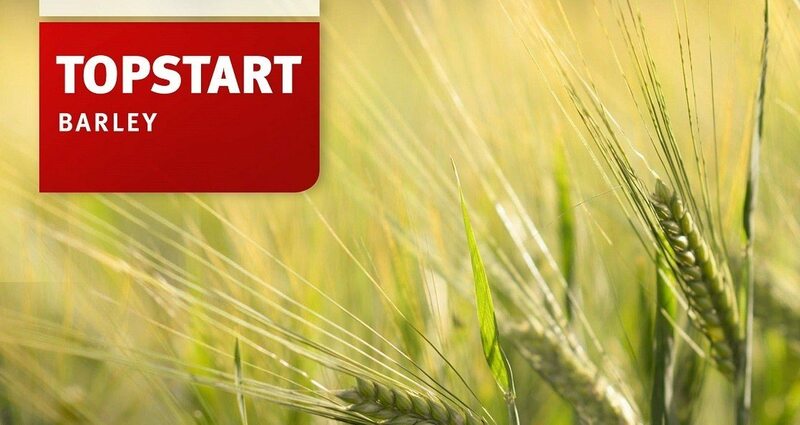 Topstart is a high-yielding, widely adapted malting-style barley; top in the NVT Long Term Averages (2009-13) for SW VIC (mean 5.23 t/ha; 12% > Granger and Westminster); out-yielded Buloke in WA by 16% in the favourable 2011 season and by 3% in the 2010 drought season; overall 3% yield advantage over Maltstar and Alestar with a slightly different malting profile. Medium-long season variety, maturity similar to Commander and 3 days earlier than Oxford; 10-15 cm taller than Baudin but with superior straw quality and resistance to lodging; good test weight and low screenings; high grain colour score (brightness). MR to Net Form on Net Blotch; MS to Spot Form. Genetics and quality: Derived from a cross with the variety Viskosa, Micro malting tests indicate an export (starch) malting profile with Diastatic Power above 350 wk; good malt extract and moderately high fermentability. This variety is registered under Plant Breeders Rights (PBR) in Australia. Information provided here is a guide only. Results can vary greatly depending on climate, soil and local circumstances. This information sheet should not be used as a replacement for expert advice or judgement. Conditions for Sale and Restrictions on Use are listed on the bag and should be referred to. All liability is excluded to the full extent permitted by law.